At the conclusion of the grand finale of Miss World China 2017 held on 30th September 2017, Guan Siyu was crowned as Miss World China 2017. She will now represent China in the Miss World 2017 pageant scheduled to be held on 18th November 2017 in Sanya, China. Guan Siyu is 23 years of age and stands tall at an astounding height of 179 cm. She currently works as model and actress and was always on the list of favourites to win the contest from the beginning. She succeeds Miss World China 2016 Kong Jing as the new Miss World China and will be the host of more than 100 beauties who will land in China in November for Miss World 2017 pageant. At the event, Chairwoman of the Miss World Organisation Julia Morley and Miss World 2016 Stephanie Del Valle graced the gala as special VIP guests. They congratulated the winner and gave her the lovely wishes. China has won the Miss World crown twice through Zhang Zilin in the year 2007 and Yu Wenxia in the year 2012. With the recent trend analysis, it has been noted that China has always performed well when the contest has been held in China. Pageant circuit is expecting a high placement for China this year as well. 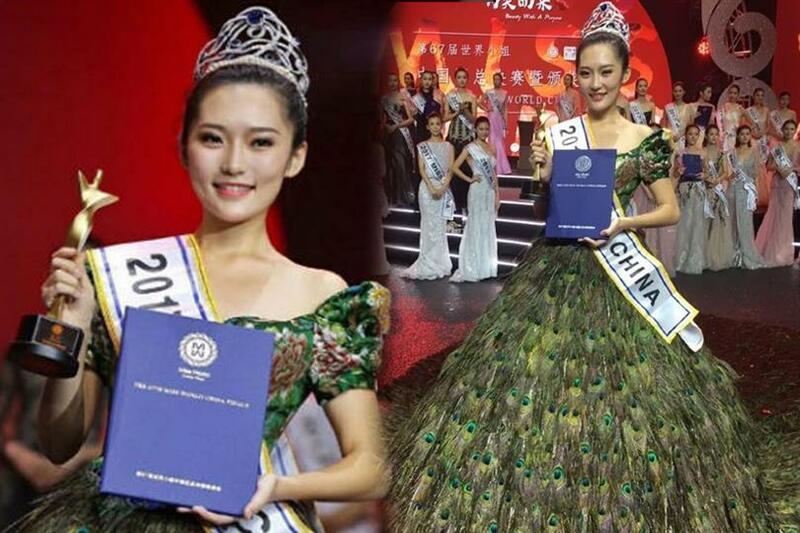 Do you think Guan Siyu has what it takes to be the next Miss World? Can she be the 3rd Miss World from China?